America has had at least two major Spiritual Awakenings just before times of great national crises. It appears that the Lord has harvested His field before destruction came. While some historians believe there were at least four great awakenings in the United States, we at News2morrow want to reflect on two significant ones that were full fledged, national Awakenings. There was a time in America, before revisionist historians snuffed out most references to this nation’s origins as being religious — and specifically religious from the Judeo-Christian culture! — Americans understood the profound effect Christianity had on the founding fathers and their framing a country based on Judeo-Christian values. We were once taught in elementary history that Christian pilgrims first settled in the New World, bringing with them a love for religious freedom and a desire to incorporate those Christian values into the foundation of their new community, which in turn became the greatest nation on the face of the earth — blessed by God like no other. 1) The 1st Great Awakening lasted from 1730s to 1743, though there were pockets of revival in the New World before that time (Source throughout: Wikipedia). This is just a short time before the great American experiment was almost aborted by the Revolutionary War, which began in 1775, a year before the Declaration of Independence was signed. 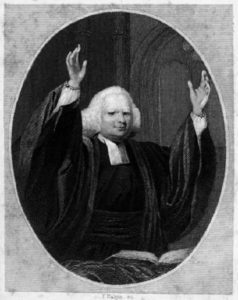 Consider these thoughts: prominent Christian evangelists, among them George Whitefield, toured the colonies, from Pennsylvania to New York to the South. Every place Whitefield visited, the “consequences were large and tumultuous!” Ministers and their congregations from various evangelical protestant denominations were united in supported the Great Awakening. The national conscience in the Colonies was so awakened that it laid the foundations of a Judeo-Christian culture in the fledgling country. This Great Awakening also represented the first time African Americans embraced Christianity in large numbers, and this spirit spread to other parts of the world as well. So God harvested the field and claimed His own during this time before the nation went into turmoil in their great war for independence. 2) The 2nd Great Awakening lasted from 1850-1900, yet revivals sprang up throughout New York, the Northeast and the Midwest from the middle of the eighteenth century onward. Many denominations and humanitarian societies, like the YMCA, sprang up during this time. Again, the Lord provided for a national awakening before the national disaster of the Civil War. More American lives died in that war, than in World Wars 1 and 2 combined! Now we come to a time when we expect the 3rd Great Awakening for the Lord to harvest this field before His return. While many Christians have already thrown in the towel, thinking there’s nothing to fight for in this nation anymore, believing it’s so corrupted, it’s finished, it’s under judgment, we think differently. While some are preparing for disasters, we at News2morrow are preparing to take part in the greatest Awakening and harvest the world has ever known. And to enlarge that vision upon our audience, we are pleased to present this interview with a Christian prophet of God, Hershel Dwayne Powell. 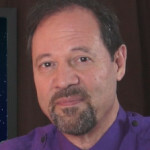 Professor Hershel Dwayne Powell, who moves in the prophetic office, holds an MATS (Master of Arts in Theological Studies) and a graduate pastoral counseling certification from Liberty University Theological Seminary. with supernatural power of the Holy Ghost. YOU’RE A PROPHET. YOU HEAR FROM THE LORD. YOU KNOW THE PRECARIOUS TIMES WE’RE LIVING IN. WHAT IS GOD UP TO THESE DAYS? God is showing me that He is going to be moving in several groups of people in the United States and, actually, across the world. Regarding the Muslim influx into Europe and also into the West, the enemy and Islam have wanted to use this influx to destroy the West. But God always takes what the enemy tries to do and He turns it for good. So what God is showing me about the Muslim world is that He has allowed this to happen. They’re coming into Europe and the United States because in these places there’s going to be a great revival and the Muslims are going to be reached. He told me that years ago, and we have account after account of Jesus appearing to Muslims because we don’t have a lot of Christians boldly going into dangerous places. So Christ is appearing there. There’s going to be a revival that starts in Scandinavia, and it’s probably already started. I’ve been told this from God that a great revival is going to start in Scandinavian countries; Norway, Finland, up in that area. People will actually be going out, two by two, performing the miracles of Christ all the way through Europe and down into Africa. The Scandinavian people, up in those areas, will be moved on by God. Young people, old people will be going out in droves, two by two, into various countries. And the Muslims will be greatly receiving them, triggering a great revival among the Muslims. Actually, it’s going to be make the Christians of the area jealous when they see the Muslims coming to Christ that they’re going to turn their hearts around. And Europe and Northern Africa are going to see a great revival. And the Muslims in the United States will be reached as well in this great revival. 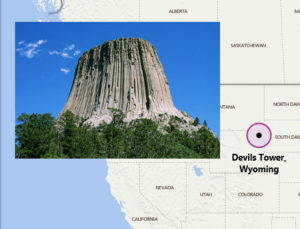 The name Devil’s Tower originated in 1875 during an expedition led by Col. Richard Irving Dodge when his interpreter misinterpreted the name to mean Bad God’s Tower, which then became Devil’s Tower. 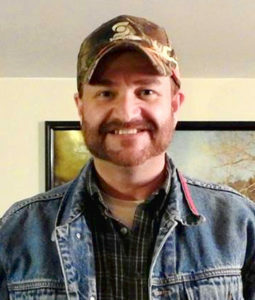 I said, “Well, God told me to do it there, so I’m going to do it there.” When I got to Devil’s Tower I prophesied to the Northwest and God showed me that starting in Washington state, and that direction, that there will begin a revival among the LGBT community. The LGBT community is very hard to reach. I consider them an unreached people’s group in many ways because they’ve been so damaged by the church. The church has not loved them. The church has called them dirty and nasty. They’ve rejected them and no one has reached them. But God loves them. God loves the homosexual. God loves the transgendered. God loves everybody and He’s not going to forsake them. We’re going to see a revival in that community and I don’t know how it’s going to happen. But the church is going to reach out to them in truth. We presently have churches that reach out to them but they think that their lifestyle is okay and it’s not sin. But that’s not truth! And so they’ve been so damaged by the other side, to where Christians tell them how bad they are, that they don’t see any love. But Jesus spoke in truth and love. And they’re going to see God speaking the truth to them that He wipes out their sin. But they’re going to see a movement backed up by love. And that will be a big revival that happens for them, starting in the Northwest, and moving onto Oregon and North California. It’s going to take a lot of people by surprise and the church needs to be ready to receive that revival. It’s going to happen and we need to have our hearts ready. I was sent out the first time in 2004 to Kansas to speak to the Potawatomi Native Americans and since then I’ve been allowed to speak to tribes across the country, by God’s leading. The Last Great Awakening that takes place in America – and it will hit around the world – but, in America, this will be initiated by what God is doing in Native American tribes. God has already told the elders there about what He wants to do in their tribes. And He is going to start there, as far as America’s part in this worldwide revival and harvest. And this will be a “key” factor as to the move of God in America. The church is going to be amazed at what happens there. I don’t know if you want me to get into this but the areas where the tribes are located are actually going to be places of physical refuge during times of national disasters that are coming on our country and around the world because of sin. There are several tribes that have already been told this that when times of economic collapse and major catastrophic disasters happen their tribal land area (ie, reservations) will be places of refuge and they will let people come there. So God is moving in a great way in the background. A lot of people don’t know what is going on. Some things are starting to come to the surface as things are happening. It’s going to be rough for a while but God is preparing this. So when some of the prophets that have gone out to these places wonder “why have we gone out there,” the Lord is saying that these things are going to soon come into fruition. The Native American tribes are going to wake up and they’re going to become very strong in Spirit. And they’re going to do great works to wake up the rest of the church. The Southern Baptist organization is going to experience a major change. Half of them are going to decide that they want the power of God and they’re going to start operating in the gifts of the Spirit. They’re a great group of people that have not been allowed to let God do spiritual work through them in demonstrations of Holy Spirit’s power, as they should. The majority of that group loves the word of God so much and God respects that. He’s opening so many of their eyes so that the majority of the Southern Baptists will be known as men and women of God who will do great exploits. Because they have loved My word and they have not compromised in the basic truths of My word, the things they have in error, I will correct. And I will move upon them because they have loved My word and they will do My exploits. 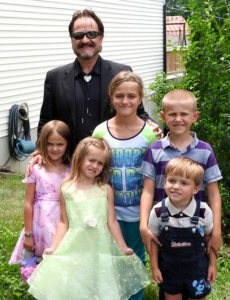 Powell with his children, Ember Rain 11, Emmanuel 9, Helen 7, twins Samuel and Eowyn 5. I had a vision a couple of years ago when I was driving down the interstate and I wasn’t even praying. I saw a vision of the entire East coast blacked out, all the way into my state of Kentucky. God says gross darkness will fall upon the land, but it will also be reflected in a loss of power. I don’t know how long it will last, but it will be a total blackout from Maine down to Florida, and towards Kentucky. The Lord said to me when things get dark and the enemy comes in heavy with deception, grace will more greatly abound. His people who are true and abiding in Him will shine at this time. They’re not just followers in word, but followers that know Him and are doing the acts of Jesus and acting as His Ambassadors of Christ even in the darkness. It’s like the enemy will use the darkness to bring a gross darkness upon the land but that will only give the sons of God a chance to shine. I see a double thing going on. Judgment is happening due to sin and at the same time the children of God will rise up greater than ever before. Whatever satan plans, God will outdo it in a greater way. WHAT IS A GOOD PRAYER STATEGY FOR THE TIMES WE ARE LIVING IN NOW? The best prayer strategy is to know the truth! Jesus told us to worship Him in spirit and in truth. Unfortunately what we’ve had in the church for awhile is a belief that Christians cannot do the same acts as the Apostles. Yet Jesus says in the Word that anyone who believes in Him will do the same works – and even greater! We have a denomination that believes for the most part in cessationism – that the gifts stopped. Well we know through history and in our own lives that this isn’t true. I just prayed for a guy tonight and he was healed, so the gifts haven’t stopped. Besides that, they’re just afraid of the supernatural. Their theology, other than that, is generally sound. But they don’t operate in the Spirit of God. The gifts are not used like Jesus used them. The other problem you have in the church is the group that believes in the supernatural but aren’t grounded in the word. We are told to study sound doctrine by Peter so we won’t be led astray. If an angel comes down and tells you something but it doesn’t line up with the word of God, don’t listen to that angel. That’s how Mormonism started. So, you have one wing of the church that is so into doctrine but omit the supernatural and the Holy Spirit. And you have, the other wing, that is so into the supernatural but they go off into la-la land because they’re not grounded in the word. One of the big things that God is doing in the last days right now is that He is raising up people who will worship Him in spirit and in truth. They’re going to be doctrinally sound, so that they’re not led astray. And they’re going to know the Holy Spirit and operate exactly as Jesus did. So the best way to be in prayer for these last days is to be abide in the word of God, and you talk to God about the word in order to do what Jesus did. You do what God has told you to do, and you confess it out loud. Humility is so important about listening to the Holy Spirit, just being humble, being forgiving. So many people say that, but all you have to do is walk right outside your door, find somebody who is sick and heal him. If you’re abiding in Him, listening to Him, you should be doing that. And that is the best way to counter darkness. There is coming gross darkness upon the world and it’s held back through great power acting through us. As Jesus carried the power of God, we, individually, wherever we are in our lives, in our own sphere of influence, can do the same. 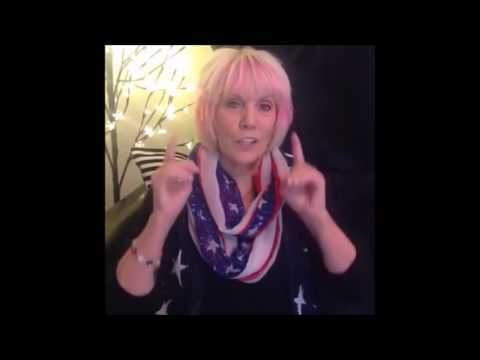 DO YOU EXPECT TO SEE A THIRD GREAT AWAKENING HERE IN AMERICA? Yes, I do. I’ve actually been told this, as well as some of my friends. 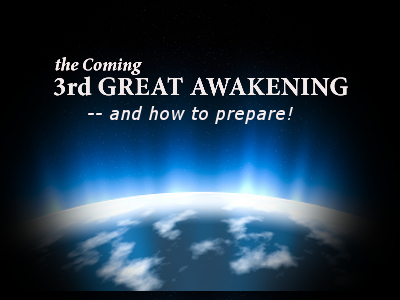 There will be one last great awakening in America, and, actually, it’s already started. And it’s starting in the hearts of lots of people already who are walking in spirit and in truth. They’re listening to the Spirit and they know the word of God – and they’re being Jesus to the world. This is happening now. This is happening in churches, it’s happening right now in my church in Kentucky. It’s happening all over the country. The people are waking up and doing the things of God. God showed me that there would be one last great awakening in America and it will actually go around the world. It will be a worldwide awakening unlike what we’ve ever seen. It’ll last for a period of a decade, at least, maybe more. A great harvest is going to be brought in. We’re going to see average people who were sitting in church who once didn’t believe that God talked to them, who once didn’t believe that they could do miracles, they’re going to be going out, healing the sick, casting out demons. Blind eyes are going to be opened. It’s going to be happening because people are waking up, realizing that the lives they’ve led is not what the gospel speaks of. And they’re going to start doing! IF CHRISTIANS REALLY WANT TO MOVE IN THE POWER AND AUTHORITY OF JESUS CHRIST, WHAT SHOULD THEY DO? You need to believe and you need to act. You need to believe that the Holy Spirit talks to you and that you can do the same things that Jesus did. A lot of people may have visions of doing things, but they don’t let God talk to them. But when we accept Christ, He traded our sinfulness for His righteousness. The birthright that Jesus had is given to us. So we have full authority to do what Jesus did on the earth. People need to wake up to that and draw close to God. Be humble and forgiving and ask for the character of God. Ask to be like Him. Say, “Lord, I want to be like you. I want this to be real. I want to serve you.” Be humble, be forgiving, be bold. We need to be forgiving of ourselves too. We beat ourselves up all the time. And we need to be bold and believe that God can use us, just like He did Jesus, His son, for we are His sons and daughters now. So we can do exactly what Jesus did, we just have to believe it. What’s holding us back is that we don’t believe. So either we believe Jesus or we don’t believe Jesus. So it’s time for the church to wake up and believe what Jesus said about them. This is for us today. I would also say to the church today, be hopeful and remember that God loves people. He loves sinners. When He was on earth, sinners flocked to Him. Do you see that happening in the church now? No, because they don’t have love and they don’t have a demonstration of power. People want a God that is real, that loves him, that tells them the truth and demonstrates it with power. Jesus was very harsh. He was point blank. He said it the way it was. He did not compromise truth. But people came to Him because they saw that He loved them and He demonstrated His power. We have to do the same thing. We have to be loving. We can’t compromise truth. And we have to be able to believe that God can use us powerfully and perform miracles in healings and casting out demons. So we have to believe that in the last days. From an early age he was called to walk in the office of prophet. Although he has been reluctant to acknowledge himself in this area, his call has been recognized by many of his peers and most importantly by how the Holy Spirit has used him to encourage the Body of Christ to become the Bride of Christ. Hershel Dwayne Powell is available for national and international speaking engagements and may be reached here. N ow read a related News2morrow article showing how a Donald Trump presidency has a lot to do with the 3rd Great Awakening. Click here!